Go on an amazing journey to beautiful Ladakh and engage in community work alongside the village community. 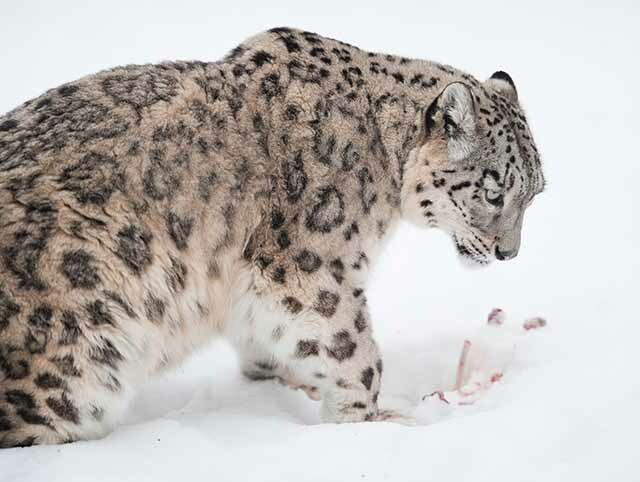 Trek along the pathways trodden upon by Snow Leopards and learn more about these endangered creatures from Snow Leopard Conservancy experts. 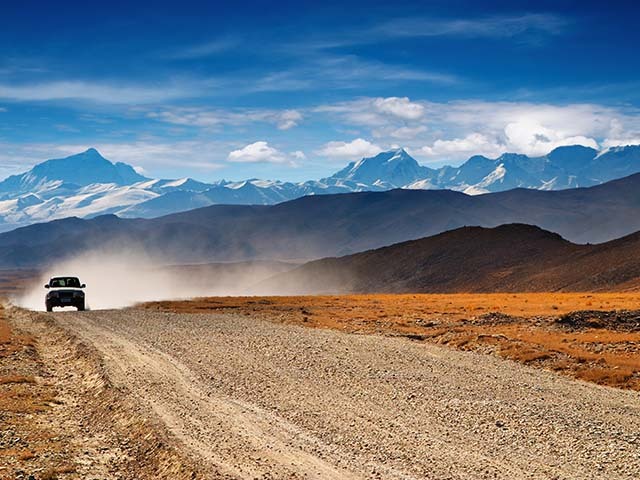 Your volunteer trek in the Himalayas begins in Leh when you arrive from Delhi. You will be met by our representative and transferred to your hotel, where you can relax for the rest of the day and acclimatize to the high altitude and low oxygen levels. Leh, is a town in the Leh District in the state of Jammu and Kashmir, India. It was the capital of erstwhile kingdom of Ladakh. The town boasts the centuries old Leh Palace and other monuments like the Shanti Stupa, a stupa containing the relics of the Buddha. Visit the Shanti Stupa in the evening and capture a panoramic view of Leh from the Japanese design Stupa. Later, walk down to the local market and return to the hotel for dinner. Go sightseeing in the Leh region today. After breakfast, go on a guided tour to Shey palace, Thiksey, and Hemis monasteries and experience Tibetan Buddhism which has been prevalent here for centuries. Today you will embark on your first camp, and visit the Hall of fame (Army Museum), Gurudwara Pathar Sahib, Magnetic Hill and Sangam Point (confluence of river Indus & Zanskar) to reach the Basgo Fort. Set up camp at Basgo Tunglung and stay in tented accommodation. On your second day of trekking you will leave the camp after breakfast. Trek from Basgo Tunglung to Likir. This is a relatively easy trek and you will cross through village fields and yellow mustard fields. En route you may get a chance to see the “Little Owl” on small rocks that camouflages really well with its surroundings. Go on a much longer trek today of over 5 hr through typical Ladakh Urial (Shapo) habitat. Cross over small passes enroute before arriving at the village of Yangthang. The high pastrure and ridge line of yangthang are known for snow leopard sightings in the winter months. You can find signs of snow leopards as you trek through here in the summer. Climb higher today and after breakfast start the uphill trek to Ulley – a small village with 8 households. Ulley is also prime snow leopard & ibex habitat. In the summers it is one of the best places to camp with streams flowing all around the village. In the evening, attend a brief presentation on the conservation work done by the Snow Leopard Conservancy India Trust (SLC- IT) and a meeting with the local community to better understand the conservation initiatives. Today you will trek up to the high pasture of Ulley for 3 to 5hrs. The high pasture is where the villagers graze their yaks in the summer months and have built a predator proofed enclosure for yaks. Spot marmots and see a variety of high altitude birds including a few raptors. Start the community and conservation work in the Spango Valley in the Himalayas, from today. You will be briefed about the objectives and goals for the next 3 days. You will help in building 3 to 4 feet stone walls around the high pasture to demarcate different pastures for the village livestock and for the wild sheep - the main food base for snow leopards in that area. This will help in curbing the overgrazing of pastures on the high ground meant for the wild sheep. Trek to Hemis Shukpa chen via Spango Valley which is known to harbour a fairly large ibex population. Cross over Spango Pass at 14500ft (approx. ), and descend down to the beautiful village of Hemis Shukpachen. Today you will begin your journey back to Leh. Trek 4 to 5 hrs over two small passes and then downhill to the village of Ang where a taxi will pick you up and drive you back to Leh. Your community service trek ends with a transfer to the airport early in the morning for your flight to Delhi.